A good turnout to-day on the day when Ireland officially transitioned into a heatwave we enjoyed a competitive shoot with eighteen entries to shoot the Small Bore Pistol Multi Target format in pistol and gallery rifle, with mixed firing lines featuring. Shooters continued to enter two or more categories which makes the range busy and a whole lot more competitive and the shoot was thoroughly enjoyed by all. Congratulations to Frank B. on his win in the small bore pistol ‘red dot’ category with an impressive 116/120 BUT it was a close run things as Anthony also shot 116/120 with only the number of ‘X’s separating the two, with Frank registering a winning fifteen compared to the eight shot by Anthony. Frank also registered the winning score in the centrefire ‘open sights’ category of 111/120. Anthony F. shot to a high standard in the gallery rifle category registering 114/120 but also submitted a winning card in the rimfire open sights category, achieving his victory by only one point from Frank B. with an impressive 116/120. Also remarkable in this category were two countbacks to separate third and fourth places which was impossible as both competitors Trevor J. and Dave C. shot EXACTLY THE SAME card!! They are listed as joint third. A countback was also necessary to separate fourth and fifth, with the number of ‘X’s providing the answer. My thanks Anthony F. who multi-tasked to step in to R/O a detail in this shoot to allow me to compete; the next shoot is planned for Sunday 29th July 2018, first shots away at 1030hrs, and we’ll be using the NASRPC Timed and Precision 1 format, which allows intermingling of pistol and rifle shooters so bring your semi-automatic rifles with you!! 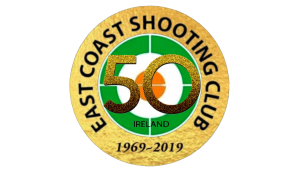 Next month East Coast travels to CIPC in Wexford on Saturday 21st July to continue the inter-club challenge between the two clubs, the first stage of which was completed in April last. All rimfire shooters are welcome to attend and should contact the undersigned indicating their availability – THE MORE THE MERRIER!! ECSC shooter wins Classic Rifle Competition in Kerry. ECSC success at Ballykinler(N.I.) Full Bore shoot.